You can expect a classic "how rude!" from Jodie Sweetin if she fails to garner a spot on the new season of Dancing with the Stars. 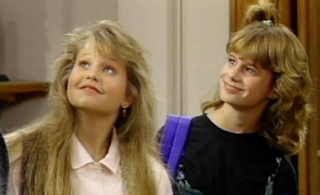 The Full House child star is making no secret of her wish to appear on the hit reality show. "I really want to do the show," Sweetin told People magazine. "I just want to dance, but the fact that it would be on camera, and I'd get to have my hair and makeup done and wear those costumes? Awesome!" Helping her in her quest for dancing glory is boyfriend and baby-daddy Morty Coyle. 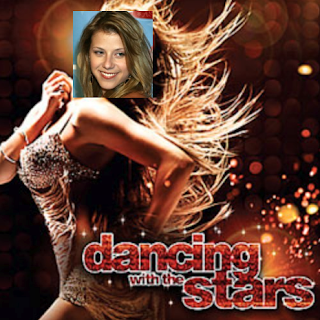 The pair have created a Facebook page for fans to publicly declare their support for Sweetin on DWTS. Hey, if it worked for Betty White it can work for Stephanie Tanner! I'm all for Sweetin joining the new season. An even better idea: having Candace Cameron Bure (DJ Tanner) and Andrea Barber (Kimmy Gibler) compete alongside her. Wouldn't you die for a DWTS - Full House reunion?